Today is a very important day, not only for humanity, but for those that have made the RMS Titanic a passion in their lives. Exactly 105 years ago, on April 15th, 1912, the beatufiul ship the RMS Titanic sank into the waters of the North Atlantic. The RMS Titanic had only been sailing for four days, it was her first time out to sea, and the world was right there when she slowly left Southampton Harbor, heading for her first destination, which was in France. 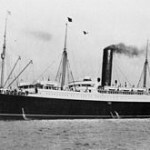 After France, Titanic had to make a quick trip to Ireland, but then it was just open water on their way to New York City. However, the ship never made it to New York City because on the night of April 14th, 1912, while driving full speed through and ice-field sea, the ship struck an iceberg. There were over 2228 people on board, but by the time the night was done, only 705 people would be alive to tell a harrowing tale once they reached New York City. Since today is the 105th anniversary of the Titanic sinking, the Titanic Belfast museum has put together a special video, and the link will be provided at the end of the post. 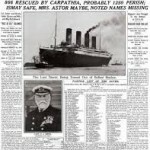 The Titanic sank at 220 am, which was after midnight in New York City. The 705 survivors were in the lifeboats, and they all were in shock having just watched the biggest, and supposedly unsinkable, Titanic, sink into the water like a rock. It was not known where the Carpathia was, and many of them felt as if the world had stopped, and they were all doomed to die on the open sea. However, within two hours, there was a light on the horizon, and the Carpathia had finally arrived having cut through the ice at top speed trying to make it to the Titanic. The rescue ship was too late to save Titanic, but not her passengers, and the long process of getting the survivors on board was now the most important task at hand. Captain Arthur H. Rostron was very determined, and his quick orders helped saved the lives of Titanic’s survivors. It took about 4 hours for everyone to be transported from the small lifeboats to on board the Carpathia, and when the last passenger was saved, Rostron had a small ceremony to thank the Lord that everyone had been rescued. 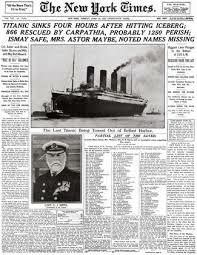 Finally, around noon, the Carpathia blew its horn, then slowly turned around heading for New York. 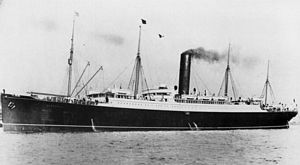 The RMS Carpathia was not renamed “the ship of Widows” because of all the widows on board, and those women were now heading to America all alone. The Titanic Belfast Museum was recently rewarded as being the Best Attraction in Europe. Millions of visitors have gone through the doors, to learn all about the Titanic, and her tragic fate. 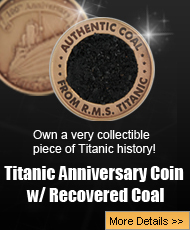 Since 2017, is the 105th anniversary of the sinking of the RMS Titanic, the museum put together this wonderful video commemorating this historic event. 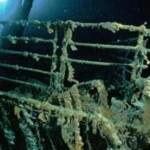 For those that study the Titanic, there are some familiar face in this video including Dr. Robert Ballard, the man who found Titanic in 1985. May those brave souls that died on board this beautiful ship rest in peace. To the RMS Titanic, who sank on April 15th, 1912, with over 1500 people on her decks. You will never be forgotten Lady of the Sea, and you will be with us always and forever.